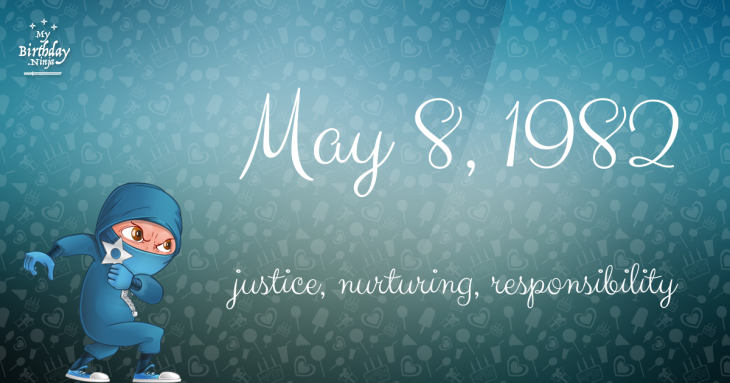 Here are some snazzy birthday facts about 8th of May 1982 that no one tells you about. Don’t wait a minute longer and jump in using the content links below. Average read time of 10 minutes. Enjoy! What day was my birthday May 8, 1982? May 8, 1982 was a Saturday and it was the 128th day of the year 1982. It was the 19th Saturday of that year. The next time you can reuse your old 1982 calendar will be in 2021. Both calendars will be exactly the same! This is assuming you are not interested in the dates for Easter and other irregular holidays that are based on a lunisolar calendar. There are 17 days left before your next birthday. You will be 37 years old when that day comes. There have been 13,497 days from the day you were born up to today. If you’ve been sleeping 8 hours daily since birth, then you have slept a total of 4,499 days or 12.32 years. You spent 33% of your life sleeping. Since night and day always follow each other, there were precisely 458 full moons after you were born up to this day. How many of them did you see? The next full moon that you can see will be on May 18 at 21:13:00 GMT – Saturday. Fun stat: Your first one billion seconds (1,000,000,000) happened sometime on January 14, 2014. If a dog named Rockbottom - a Cocker Spaniel breed, was born on the same date as you then it will be 164 dog years old today. A dog’s first human year is equal to 15 dog years. Dogs age differently depending on breed and size. When you reach the age of 6 Rockbottom will be 40 dog years old. From that point forward a small-sized dog like Rockbottom will age 4 dog years for every human year. Spring and Autumn period: The house of Zhao defeats the house of Zhi, ending the Battle of Jinyang, a military conflict between the elite families of the State of Jin. A train derails and catches fire in Paris, killing between 52 and 200 people. The first games of the Italian football league system are played. The Irish Literary Theatre in Dublin produced its first play. Hundreds of Algerian civilians are killed by French Army soldiers in the Sétif massacre. The Rabindra Bharati University, a prominent University in India, was founded. The World Health Organization confirms the eradication of smallpox. A fire at Illinois Bell’s Hinsdale Central Office triggers an extended 1AESS network outage once considered the “worst telecommunications disaster in US telephone industry history”. What does my birthday May 8, 1982 mean? Your birthday numbers 5, 8, and 1982 reveal that your Life Path number is 6. It represents justice, nurturing and responsibility. You possess great compassion and seek to be of service to others. The following celebrities also have the same life path number: Gazanfer Özcan, Shōta Sometani, Justin Berfield, Sandy Duncan, Everlast, James Stacy Barbour, Miyuki Imori, Stephen Dunne, Larry B. Scott, Leni Riefenstahl. What is the birthday horoscope for May 8, 1982? The Western zodiac or sun sign of a person born on May 8 is Taurus ♉ (The Bull) – a fixed sign with Earth as Western element. The ruling planet is Venus – the planet of love and beauty. According to the ancient art of Chinese astrology (or Eastern zodiac), Dog is the mythical animal and Water is the Eastern element of a person born on May 8, 1982. Fun fact: The birth flower for 8th May 1982 is Lily of the Valley for purity. What is the Love Match for May 8, 1982? When it comes to love and relationship, you are most compatible with a person born on August 20, 1998. You have a Love Match compatibility score of +148. Imagine being in love with your soul mate. On the negative side, you are most incompatible with a person born on March 27, 1972. Your incompatibility score is -123. You’ll be like a cat and a dog on a love-hate relationship. Arf-arf, I want to bite you. Meow-meow, stay away from me! The number-one hit song in the U.S. at the day of your birth was Chariots of Fire by Vangelis as compiled by Billboard Hot 100 (May 8, 1982). Ask your parents if they know this popular song. I do not know how you feel about this, but you were a male ♂ in your last earthly incarnation. You were born somewhere around the territory of Northern India approximately on 1150. Your profession was dancer, singer, actor. How many babies were born on May 8, 1982? Base on the data published by the United Nations Population Division, an estimated 129,217,304 babies were born throughout the world in the year 1982. The estimated number of babies born on 8th May 1982 is 354,020. That’s equivalent to 246 babies every minute. Try to imagine if all of them are crying at the same time. What is the popular baby name on 8 May 1982? Here’s a quick list of all the fun birthday facts about May 8, 1982. Celebrities, famous birthdays, historical events, and past life were excluded. 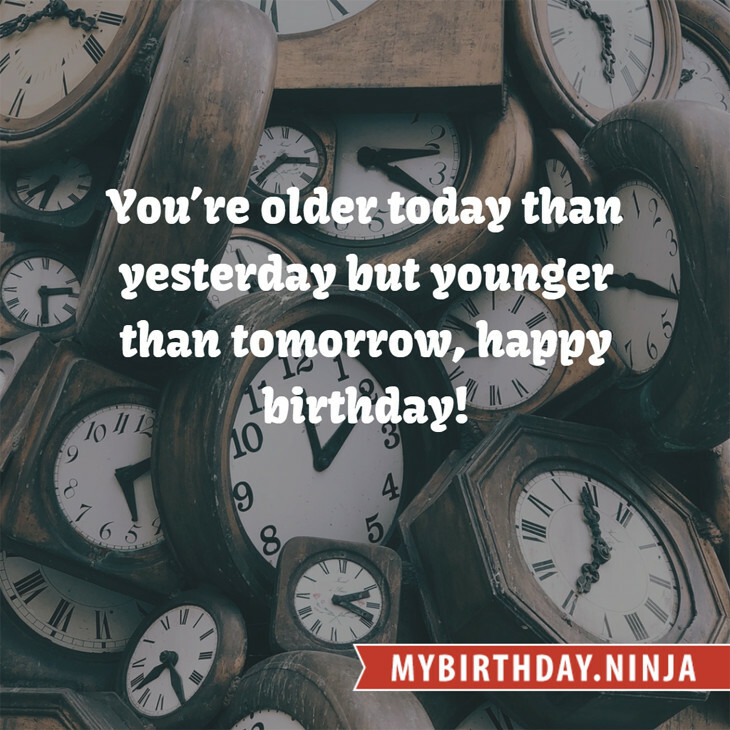 Try another birth date of someone you know or try the birthday of these celebrities: May 16, 1984 – Pania Rose, Australian model; February 22, 1969 – Hans Klok, Dutch magician and actor; April 15, 1950 – Josiane Balasko, French actress, director, and screenwriter.